How school design teams can begin a weekend with a problem and emerge a day and a half later with a prototype solution ready to test back in their communities. It’s Sunday morning in a hotel conference room in Springfield, MA. The tables are littered with evidence of a weekend’s worth of school design work: laptops, coffee cups, water bottles, and snack wrappers, as well as bits of foil, markers, pipe-cleaners, and drawings, supplies that might be more at home in an elementary classroom than at a professional learning event. The chairs are all empty, however, because the 50 or so participants, facilitators, and coaches are on their feet. No one is alone in a corner; no one is looking at a phone. Everyone is scribbling notes, discussing prototype plans, or adding ideas to the huge posters that line the walls. Bright squares, with short phrases hurriedly scrawled on them, cover every surface, as if a nor’easter had struck a sticky-note factory and this room is the aftermath. It’s an animated group, surprisingly so when you consider that these are the final hours of a weekend-long design sprint that, for most in the room, came after a full week of work. In February and March of this year, Mass IDEAS (Innovating Design in Education for All Students), a Massachusetts-based initiative of Next Generation Learning Challenges, hosted two weekend-long School Design Institutes (SDIs) in partnership with 2Revolutions and with funding provided by the Barr Foundation and the Nellie Mae Education Foundation. When I first heard the ambitious goal for the weekends—every school design team would begin with a problem and emerge a day and a half later with a prototype solution ready to test back in their communities—I was a bit skeptical, I’ll admit. But that’s exactly what every one of the 16 design teams accomplished, and they did it with creativity, zeal, and love. Their success has prompted me to take a closer look at the design of the Institutes, to see if I can identify some of its zesty flavors and share them with other educators who are learning together how to transform education. 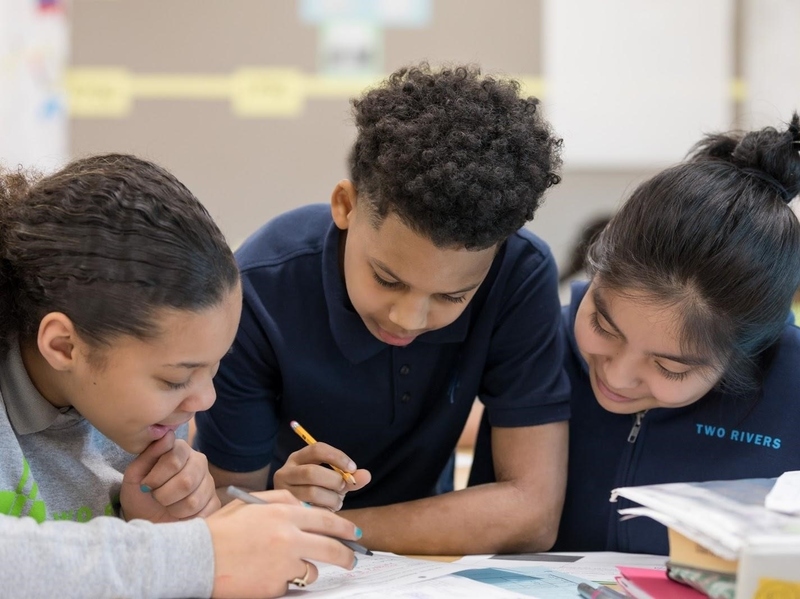 The School Design Institutes are part of a broader initiative to design or redesign high-quality schools for communities and students in Massachusetts. According to Liza, communities vary in their readiness to reimagine public schools, so Mass IDEAS offers multiple entry points and strategies along a continuum. 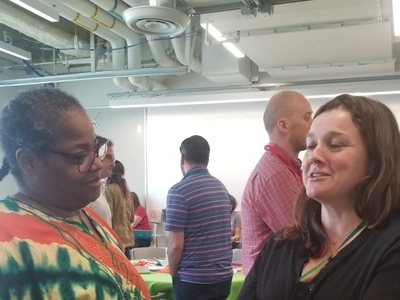 Some of the SDI teams, for example, had previously participated in a NGLC Learning Excursion for Massachusetts educators and already had an awareness of what’s possible. For them, she says, the SDI offered a safe space to take small steps toward design or redesign. The very first step is recognizing that change is needed. For that reason, the SDI application opens with questions like: What’s the problem you are trying to solve? What’s keeping you up at night? How and why do you know this is a problem? 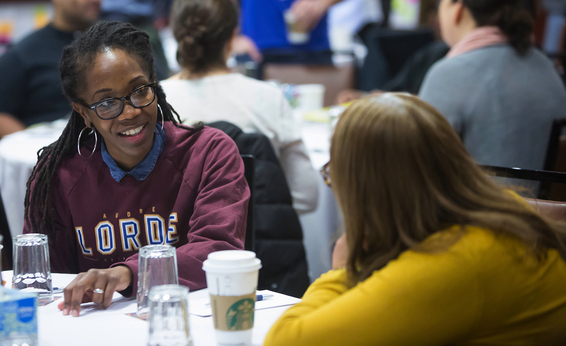 Participants’ responses spanned a wide range of topics, including systemic design challenges around equity, attendance, scheduling, culture, and meeting the academic and social emotional needs of all learners. Some teams were prompted by troubling data about their schools and others by changes in the postsecondary landscape their students are about to enter. What they all had in common, however, was beginning at what Liza describes as “the place of knowing that some groups of kids are not being well served or that something is not working” in the status quo. Rachel Babcock, the SDI coach who worked with Holyoke STEM Academy, a new middle school set to open this August, approves of the problem-solving orientation, but she also amplifies it with the notion of urgency. Rachel, a co-founder and co-director of Map Academy Charter School, opening in Fall 2018 in Plymouth, MA, understands the power of what’s “real and urgent. 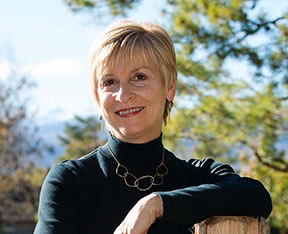 When it’s all theoretical,” she says, “it’s easy to get lost and be all over the map.” Starting with a stated problem, even if it shifted over the course of the weekend, gave teams a focus for their work, as well as a problem-solving mindset. SDI coach and school founder Rachel Babcock supported the Holyoke STEM Academy team as they designed an ideal “Day in the Life” for students and educators. For much of my career in education, reform meant optimizing—doing more or less what we’d always done, but better. More substantive kinds of change were difficult for me to contemplate, in part because I did not want to believe that what I had been doing in the past was somehow wrong. As Dr. Kanter suggests, one way to overcome resistance to change is to look outward instead of inward and forward instead of back. That kind of thinking guided the SDI agenda Saturday morning, in which school designers learned about significant changes that have occurred in recent decades. For example, participants watched “Do You Know?” a video about exponential changes in technology, careers, and the staggering flow of available information. NGLC’s MyWays video then highlighted the disconnect between school models of the past and what our students need to thrive in this future. Participants also grappled with particular challenges our graduates will face—the MyWays 5-5-5 Realities of career roadblocks, work/learn decision making, and cultivating social capital. Judging by the table conversations, reflecting on these ideas prompted quite a lot of conversation, shifting of mindsets, and big-picture thinking. 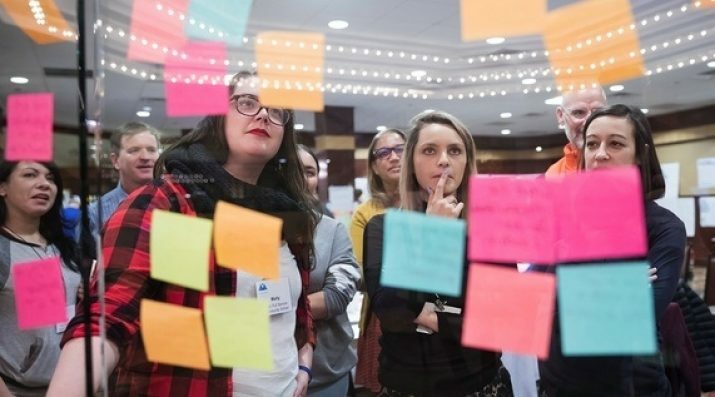 Regardless of what problem teams identified on their application, many of the school designers began to question—and rethink—their definitions of student success. “Will content become obsolete? Do we need to teach skills that can be applied in many situations?” wondered one participant. “Tech can’t teach you to be a critical thinker. Wisdom can’t be automated,” remarked another. 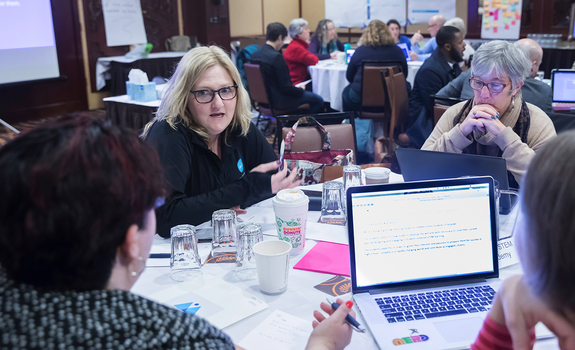 Before teams embarked on their individual design journeys, they were thus primed to think creatively about their aspirations for their students. As Andy Calkins, the director of NGLC put it, "Here's a way to test whether you're thinking big and bold or not. Will your new school design explicitly and deliberately enable students to develop the full set of competencies described in the MyWays framework? If not, you may be working on very worthy improvements to the traditional school model, but you are likely still coloring within the lines of its equally traditional goal-line." The weekend’s approach to innovation and problem-solving was grounded in design thinking, which has its origins in architecture and engineering dating back to the 1970’s. Today the process is gaining popularity among educators and school designers because of its emphasis on the experience of users—in this case, students, families, and communities—and its orientation toward taking action to solve problems through prototyping and testing of ideas. 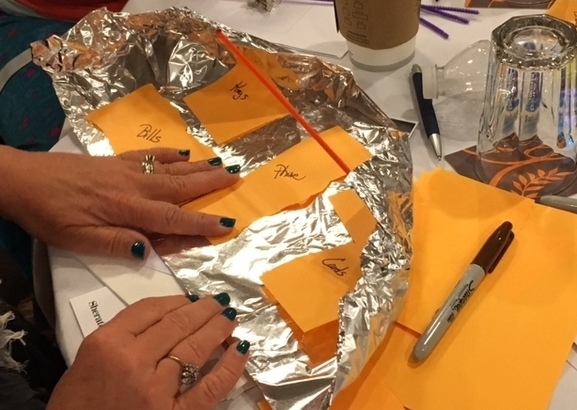 In one of the SDI’s hands-on activities, participants learned how to create user-defined prototypes by designing low-resolution “wallets” for their partners—in this case, a scarf that can hold money, keys, and a phone. Design thinking is a flexible process, one that lends itself to schools of all kinds and at various stages of design and redesign. This was especially apparent to Erin Linville, chief of strategy and turnaround for Holyoke Public Schools. 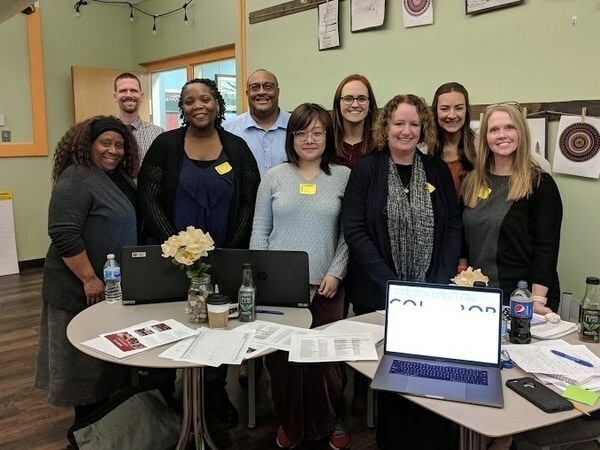 Holyoke sent three teams to the SDI in western MA as part of their district’s efforts to re-imagine the middle school experience and expand middle school options. Caroline Hill pushed participants’ thinking about designing for equity. When we talk about change—to each other or even in our own minds—the words we use matter. One of the key steps in design thinking is ideate, which, according to Design Thinking 101, means “Generate a range of crazy, creative ideas.” In my experience in education, nothing stops innovative thinking faster than the word “but,” usually followed by a dozen reasons why an idea won’t work. These design principles guide the work of the SDI experience, school design teams, and Mass IDEAS. This Harvard Business Review article by Rosabeth Moss Kanter explores the top ten reasons people resist change. Taken together, MyWays Report 2 (5 Roadblocks to Bootstrapping a Career), Report 3 (Decisions in Navigating the Work/Learn Landscape), and Report 4 (5 Essentials in Building Social Capital) present the “5-5-5 Realities” confronting adolescents in a world of accelerating change. This brief MyWays video addresses why a changing world requires that we reimagine our public schools and encourages us to redefine the skills, knowledge, and habits of success students need to develop if they are to thrive. “Future of Learning,” a video by 2Revolutions, offers “design” as an active, solutions-oriented alternative to “dreaming” or “dreading” the future of education. This article on design thinking by Interaction Design Foundation is based on the five-stage model proposed by the Hasso-Plattner Institute of Design at Stanford (d.school). Design Thinking 101, by Sarah Gibbons, provides some history and a visualization of this hands-on, user-centric approach to problem solving. Photos courtesy of Paul Schnaittacher for Mass IDEAS.